What do we mean when we refer to Single Estate teas? This is any tea that comes from one single tea estate or tea garden as opposed to a blend that is created from multiple estates. Similar to fine wines or single malt whiskys, single estate teas vary year to year. The area in which a tea is grown can influence the flavour of the tea in various ways based on a host of environmental factors. Even if the production processes are very similar from estate to estate factors such as soil quality and the climate at the time, can change how the final tea tastes. Why choose Single Estate Teas? Single Estate teas allow you to experience the vast array of flavours, aromas and qualities that each region has to offer. One of the best ways to learn about tea is to try a wide variety and experience as much as you can. You may find that one year you adore one tea garden’s offering and the next year a different one! 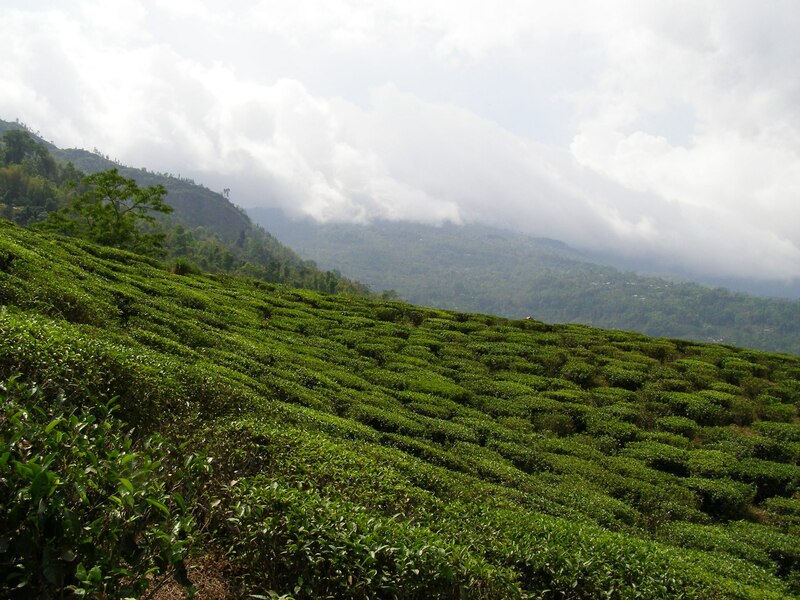 Another advantage of choosing a single estate tea is that you can learn more about where your tea has come from. Everyone has their own criteria when buying tea and for some having more knowledge about where their tea is produced can help them make more informed choices. For example, knowing if the tea has been produced in a sustainable manner, or in a way that protects the workers. The availability of single estate teas varies from country to country. For example, you will often find Single origin teas from China rather than single estates. This is often because in some areas farmers with small farms band together in co-operatives to sell their teas. The answer is simple; blends offer consistency of flavour! Each batch will be created from various different teas with the aim of creating the same flavour as the original blend. There are different kinds of blends available on the market. Single Origin blends refer to teas that come from specific regions that are blended together. For example, you often can find teas that are simply called ‘Assam’ or ‘Ceylon’. This would refer to the fact the blend has been created from teas from that region of the world. Or a blend can be made of teas from different countries. For example, our English Breakfast tea is a blend of Assam and Ceylon teas. If you love a particular kind of tea, for example a breakfast tea, every morning and want that flavour all the time then blends are a good option for you! Sometimes people believe that single estate teas are more expensive than blends. It is believed by some circles that, like a fine wine, single estate teas are a sign of a ‘premium tea’. However, single estate teas, as mentioned, vary in quality from year to year and both the price and the quality can differ widely! Blending tea is quite a costly process requiring a lot of time, tasting and changing to achieve the desired outcome. How do we choose our single estate teas? We offer a selection of single estate teas that have changed over time. Each year, just after the various tea picking seasons we are sent samples from the various tea estates in Assam, Darjeeling and elsewhere to try. This is a great way for us to make informed decisions and choose the best teas we think you’ll enjoy! Additionally, every year Tim and Lenka travel to various tea growing countries to learn more about their processes, working conditions and the tea culture of that region/country. This past year we introduced a new Assam tea from the Cherideo Purbat estate and two single estate Darjeelings: Casleton first flush and Avongrove second flush. These were chosen for their high quality, superb tastes and in particular with Avongrove and Cherideo Purbat, we were impressed with their growing practices which favour organic growing methods. Visiting the Glenburn tea estate in Darjeeling.